Our customers make optimal decisions based on the most precise insight into their price data. 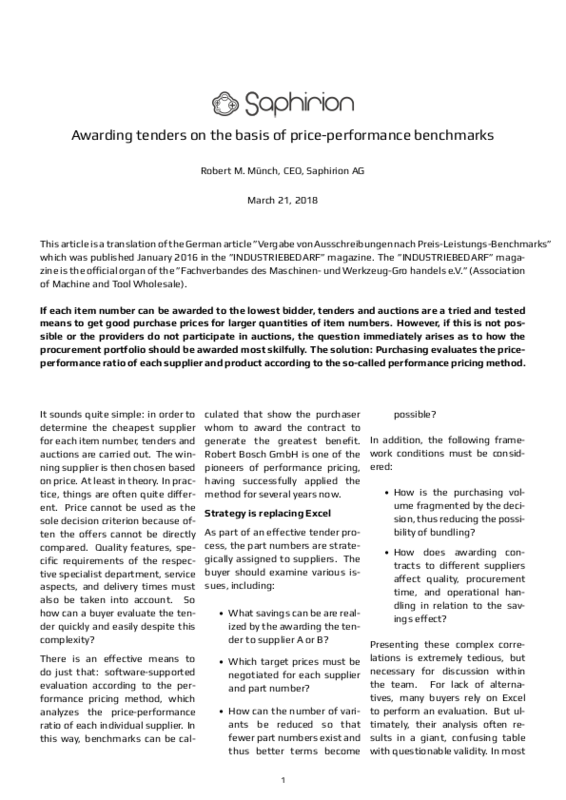 Non-Linear Performance Pricing (NLPP) is a new kind of decision-making approach in purchasing, engineering and sales. NLPP finally allows a different perspective looking at price & cost in relation to value, benefit & performance. 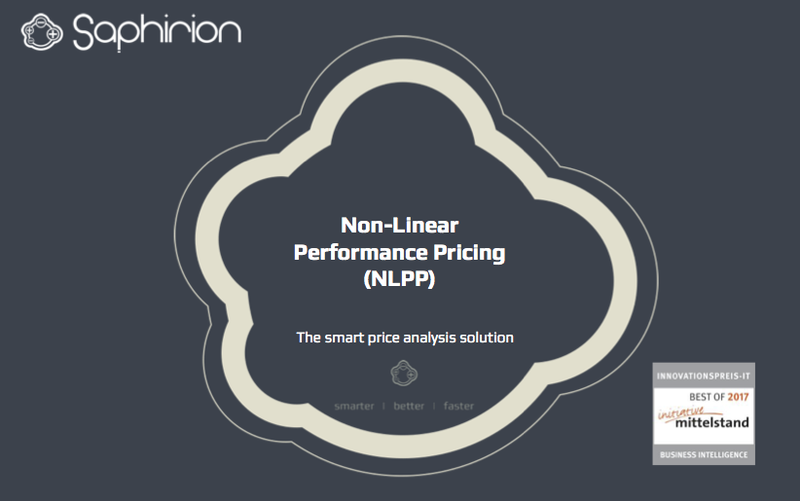 NLPP extracts the maximum insight from your product & service price data into highly accurate target price predicting formulas. Calculate very precise target prices with worst and best benchmarks for any kind of products and services procured. Analyze thousands of items in seconds and see potential savings right down to an individual item. Predict the impact of strategic decisions such as changing suppliers, different quantity allocations or make/buy decisions. 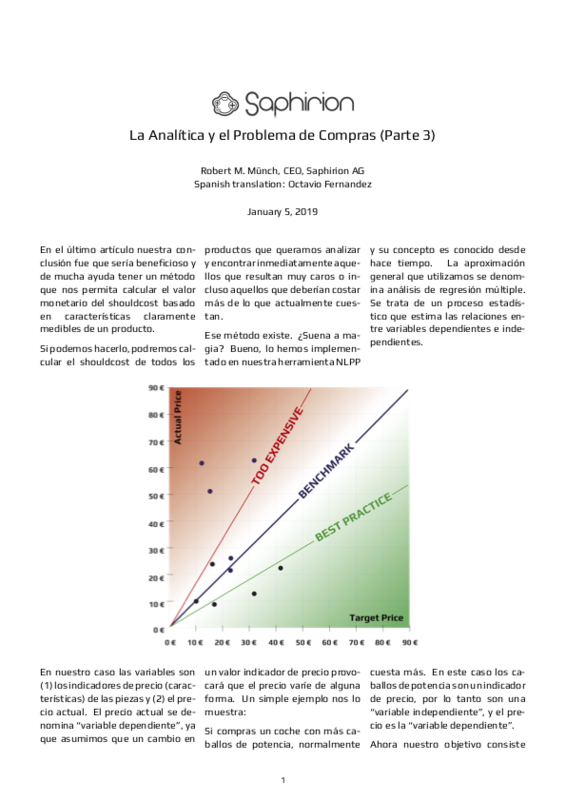 Engineers calculate highly precise cost estimates in early development stage when no drawings or BOM is available. No matter if you have hundreds or thousands of parts, NLPP can find technically or economically similar parts in seconds. Understand how product performance changes impact the cost and which features it makes most sense to focus on. Sales creates target group specific value based pricing models and shifts discussion about price to value. Use NLPP precise target price formulas to calculate quotes in seconds and save a lot of time. Ensure price consistency for your customer portfolio no matter who calculated a quote or offer. Connect purchasing, engineering & sales with a single universal method. 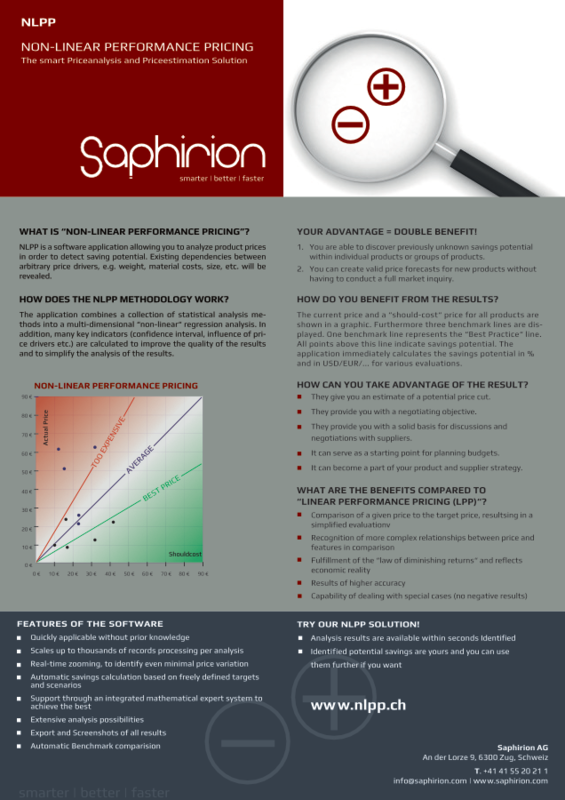 Our flagship product is smarter & better & faster for price analysis, benchmarking & target price estimation. 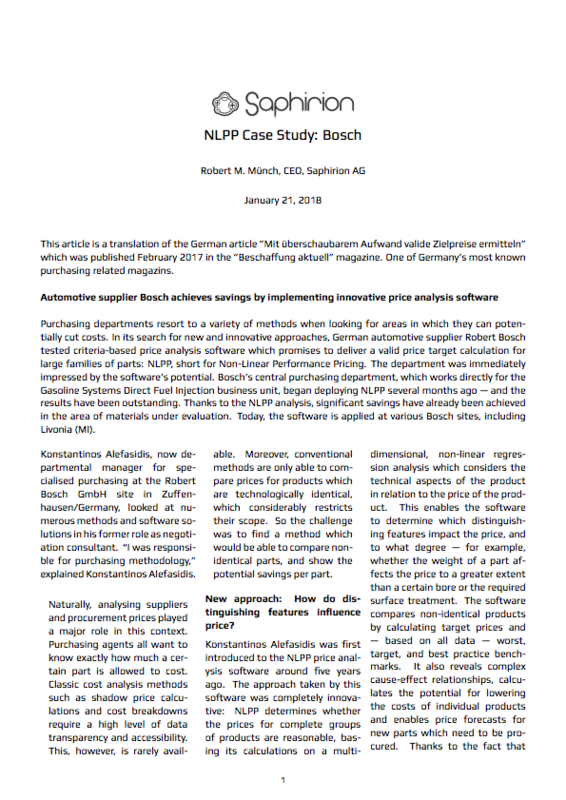 NLPP automatically generates accurate price predicting formulas based on your needs. 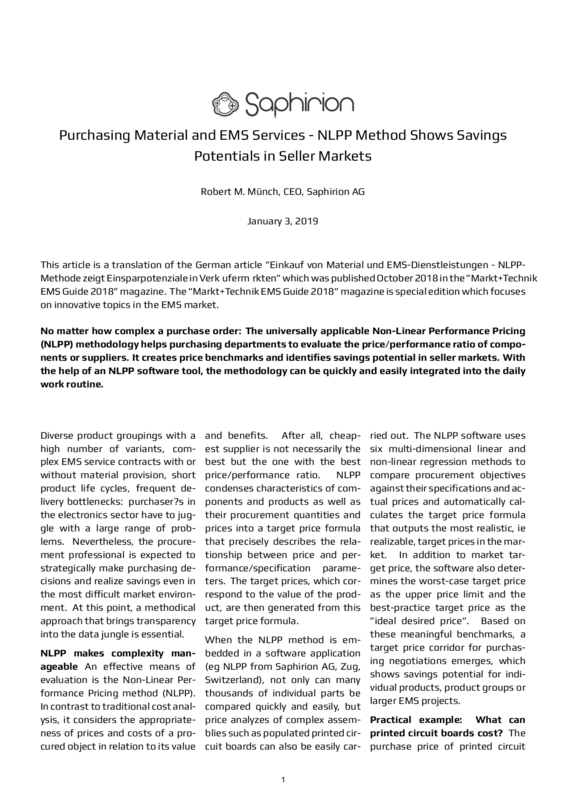 NLPP simplifies sourcing activities, benchmarking prices and improves price consistency for Purchasing Departments. 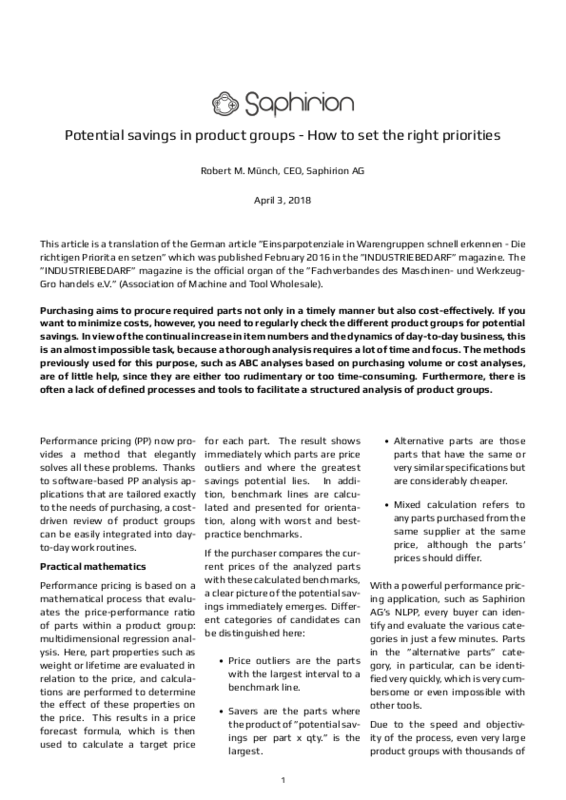 NLPP estimates product costs, finds similar parts and prioritizes cost optimization activities for Engineering Departments. NLPP checks price consistency, develops pricing formulas and value based pricing for Sales Departments. As thought leader we are publishing about NLPP regularly. Most articles are originally published in German magazins and we offer translations of those articles over time. Innovation occurs when new ideas answer existing questions smarter, better, faster. In 2006 we built a company that focused solely on delivering the best price analytics solution with a great user experiences. 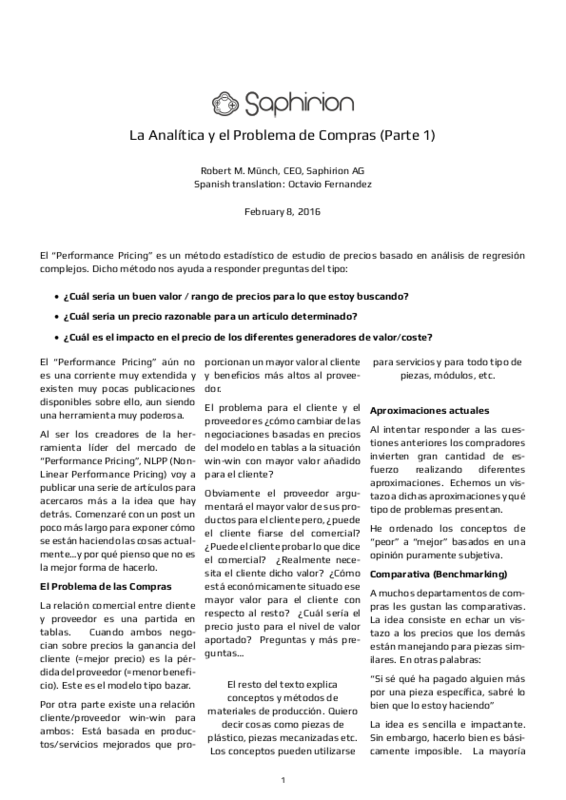 We challenged the conventional approaches and created a new kind of decision making. We want you to make smarter decisions using every bit of information that is included in your price data. What if you could see your data through our eyes in seconds? We are smart in wrapping the complex mathematics into an easy to use tool which extracts the biggest amount of information from your data. Be smart and use such information every day. What separates us is that we are the only ones developing & supporting many different mathematical methods for price analysis. Your different situations need different solutions. 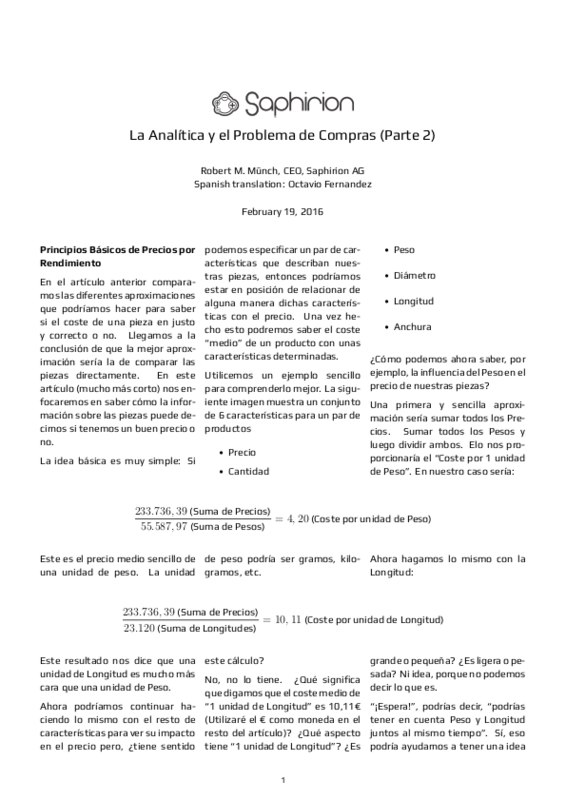 We are your companion and solve real-world challenges by making theory accessible and useable. Use our experience to become better in what you do. We are progressive, thought leaders and innovators. 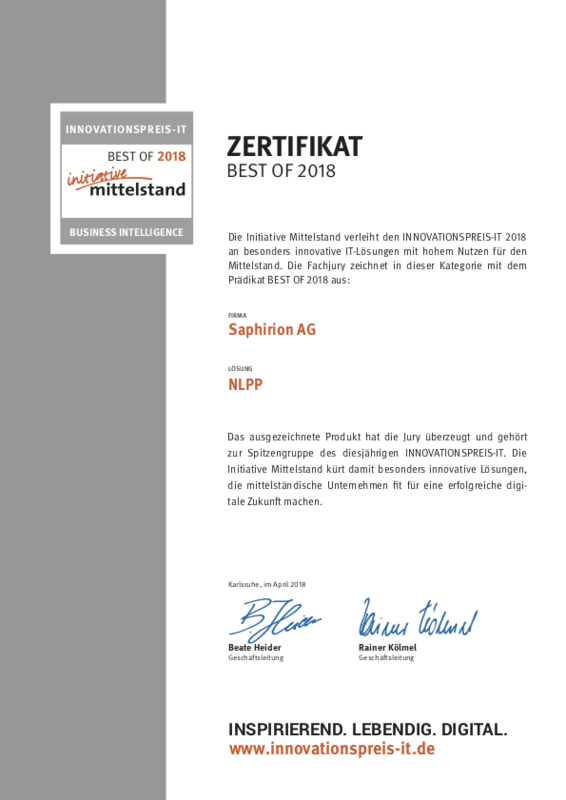 Big breakthroughs take big brains, Saphirion boast some deep-thinking pros. Our NLPP method reflects serious ideas with exceptional craftsmanship. We put our heads together daily to constantly improve our NLPP method & tool to give you greater analytic power today than you can imagine. Time is limited, time always matters. 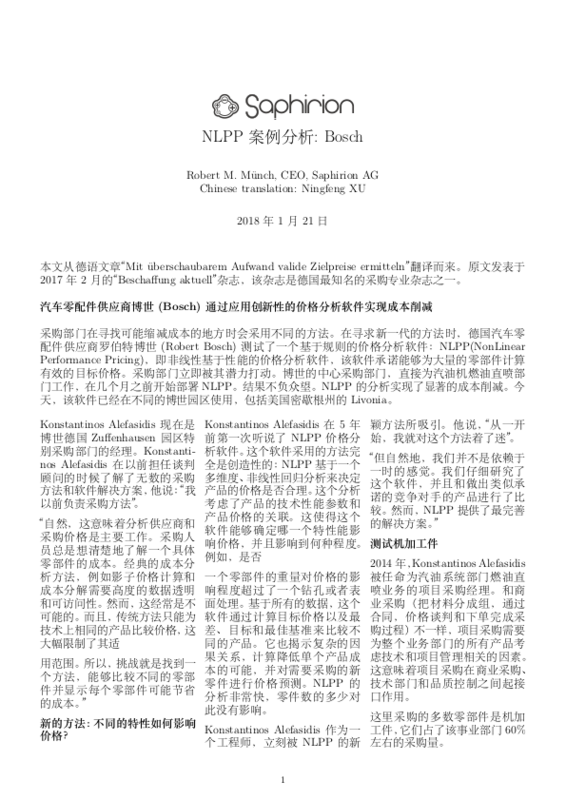 We make NLPP to do the hard analysis work for you. In seconds. We give you brain-time back. The base of all good decisions. Big names use our approach to get better results faster than their competitors. Minimal time to results is your advantage. Be smart from the start. Use our unique, field tested & fail-proof tool and exchange simplifying assumptions for hard facts. Please contact us for an online presentation, demo analysis of your data or any further questions you have.